It is written in the history books that ice cream can be traced back to at least the 4th century B.C. The Roman emperor Nero ( AD 37-68) ordered ice to be brought from the mountains and to be combined with fruit toppings. The first ice cream maker was invented by Nancy Johnson in 1846. She patented her hand cranked freezer that established the basic method of making ice cream still used today. Wikipedia says the first baked brownies came out of the oven in 1904. This is the earliest a brownie recipe, and appeared in a cook book, called “Home Cookery. 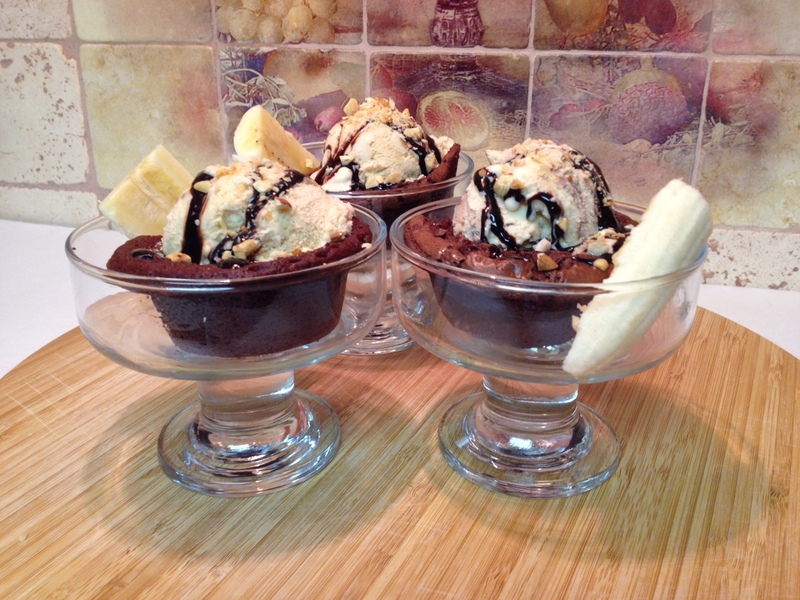 Since those inventions appeared on the scene,we now have an ice cream sundae brownies. Much like peanut butter and chocolate that came together back in the last half of the 20th century as Reese’s Peanut Butter Cups. According to the culinary magazine Food and Wine, President Ronald Reagan (US president 1981-89) declared July to be National Ice Cream month and the third Sunday of July to be the official National Ice Cream Day. This year that official National Ice Cream Day is July. 20, 2014. We hope you enjoy your ice cream day and include this recipe as part of your day. Spray the second muffin tin, bottom side, with cooking spray and place on top of the first tin of brownies. After the bowls are completely cooled, add a scoop of ice cream, top with chocolate sauce, nuts, sprinkles and a slice of banana. Enjoy! 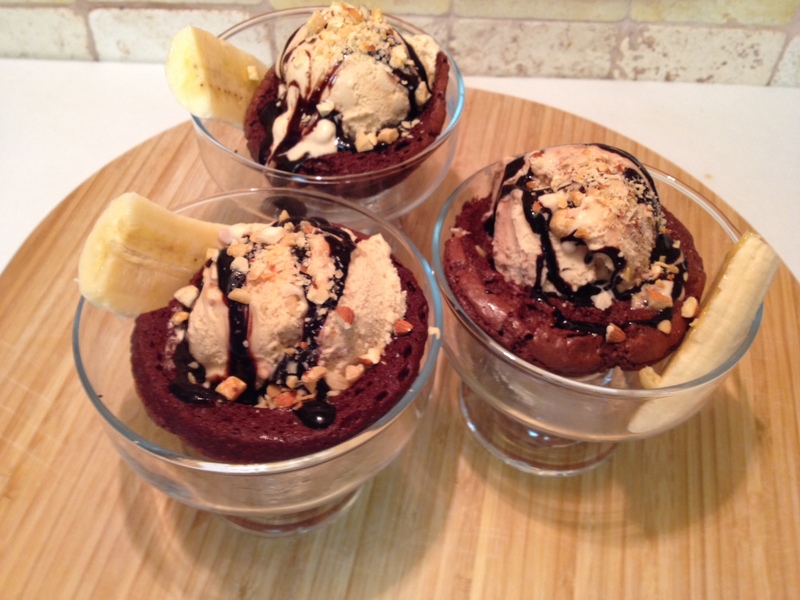 Nutella Peanut Butter Ice Cream With No Machine! This entry was posted in Dessert and tagged Chocolate brownie, Cooking spray, Ice cream, Reese's Peanut Butter Cups, Ronald Reagan, Sundae, Sunday, United States. Bookmark the permalink. I could eat that in one BITE!! Hey Gator Woman thanks for your thoughts and for stopping by.